Rules for Work from the Boys Own Workshop. 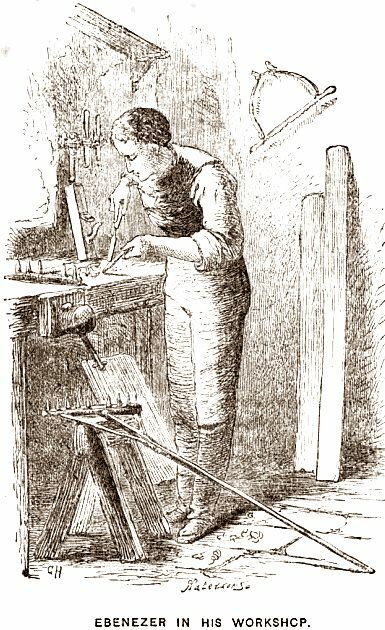 The boy’s own workshop – Jacob Abbott – Google Books. Discussion about this book is making the rounds of the blogs right now, and I wanted to call it out as well. I read this on my Kindle while on vacation and it was a great read, that I learned some fun stuff about hand tool woodworking, and more to the point I learned some things about how to approach the craft as well. I highly recommend reading this book, and if I had any idea how to do it I would reprint this book in a nice bound format to put on my shelf next to my Lost Art books. 1. Work Deliberately. I tend to rush when I get close to the end of a project. And usually screw things up by doing something stupid. Now I am taking the time to think through each step, and find the simplest solution, not the first thing that comes to mind. 2. Use the right tool for the job. Sometimes when I rush, I’ll grab whatever is handy and try to force it work the way I want, and sometimes this ends badly. 3. Work with Sharp Tools. I sometimes want to get right to work, but I’m making myself stop and make sure my tools are ready to go before I start. Even if this means that is all I get to that night in the shop. 4. Work in discrete chunks. I am trying to work in stages, and only tackle a project that I can finish in the time I have. This way I feel successful at the end of each section, and I start each session with a starting point and an end point. I’m still working on these rules, and feeling out how it works in the shop, but I feel good about this so far. Work Deliberately seems to be encompass a lot of the idea. My first project with these rules in mind went much better than previous ones. The end result just simple felt better, and I felt like I actually knew what I was doing. It’s a good feeling. It wouldn’t be that hard to do a proper reprint. I just don’t know if there would be sufficient interest to offset the time and cost considering the Google versions out there?